It is amazing how much we use, everyday, new words that the developments in technology, products and services, have brought to our lives. It's been probably the same case over the history of Mankind. Let's focus on our recent history though. Imagine for a moment that travelling in time would be finally possible, and you could go back ... 100 years in time. You could start a conversation with a "native of that time" by approaching general topics such as the weather or the landscape. But if you tried to go into topics that are nowadays usual, such as TV, internet, mobile phones, computers, or even everyday words such as toothbrush, laundry detergents, batteries (you name it), what would be the reaction on the other side? This comes to a topic of CogniFit and brain training. It is by far the best example of success in the consumer world, to achieve the adoption of a specific brand name as the name of an action or a category. A few examples of this would be Coca Cola in most countries, Xerox or Kleenex in some others, or the most currently common ones - Googling and Facebooking. Those words define a dominance of those brands at a certain point in time, to a point that the category doesn't really matter; it is easier to recognize it by the brand name. CogniFit is a scientifically proven brain training program, which improves over time your ability to use your brain more effectively, to keep your cognitive functions alive, in summary to become much better at using your cognition and having a fit brain. The interest in this technology is gradually increasing in the world, and most importantly in North America. But it is yet a mystery what the unique name of the category would be. Is it "brain training"? Is it "brain fitness"? Or would it simply be, for lower scientifically based programs, "brain games"? This is a normal step; the creation of a new category and the identification of the category with a name is an important milestone. There is therefore an opportunity to create breakthrough ideas. Remember, an illusional idea today is a breakthrough idea tomorrow and becomes a standard the day after tomorrow. Starting by the illusion in our minds, it would certainly be a very complete and accurate description, to call the category... CogniFit. 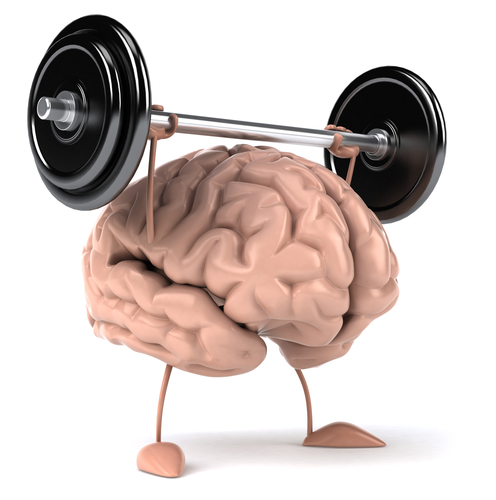 Today I need to cogniFit, that is, train my brain to become sharper and quicker. Yesterday I didn't cognifit unfortunately; I was out for a long time. Cognifitting is a terrific activity, and self-explanatory. It consists in achieving continuously a fit cognition, which is a fit brain. I can see the advantages of cognifitting in my everyday life, as I improve my memory and the capacity to remember short term and long term specific ideas, I can easily perform different tasks at the same time while having the capacity to inhibit the clutter, I am able to quickly look at a situation and be able to think ahead with step by step instructions inside my brain. Cognifitting is what improves my quality of life, and I invest 15 minutes of my time daily to take care of my brain. I can imagine the strange perception you may have while reading the previous paragraph. It's true, we're still in the illusion phase (similar to what TV might seem 100 years ago). Could this become a standard name in the future? We work everyday to make it happen. To CogniFit or not to Cognifit - that is the question.